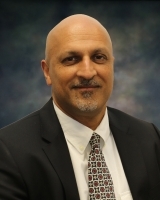 Raminder Sandhu is the Robotics & Automation Practice Lead at California Manufacturing Technology Consulting (CMTC). Raminder brings more than 30 years of experience in engineering and manufacturing automation to CMTC. He has worked at a diverse range of organizations, from Silicon Valley startups to Fortune 50 companies. Throughout his career, Raminder has thrived in roles that require technical expertise and direct customer contact. He has trained customers on robot and vision system programming, installed manufacturing lines, and sold manufacturing equipment, software, and services. Raminder’s professional experience includes robotics, machine vision, portable power systems, medical device and surgical tool development, CAD/CAM, and Industrial Design. Raminder holds a Masters in Mechanical Engineering from Stanford University and a Bachelors with honors in Electrical Engineering from Texas A&M University. In addition to his responsibilities with the CMTC Manufacturing Extension Partnership, Raminder is the regional representative for the Advanced Robotics for Manufacturing (ARM) Institute.